Each year, the Birth Anniversary of Fr. Leo Dehon is remembered and celebrated by the entire Dehonian Family around the world. March 14 is also a special day of prayers for new vocations to the priesthood and religious life, especially to the congregation. On this day, all the SCJs and all lay associates, inspired by the life and works of Fr. Dehon, gather together to reflect on the charism of their founder, which they consider as a special gift from God to the Church. As usual, the Sacred Heart Formation House in Cagayan de Oro City, together with members of the Lay Dehonians and Dehonian Youth, joined this worldwide celebration. During the Holy Eucharist, Fr. Aloiso Back, the main celebrant and homilist, presented the life and vocation of Fr. Dehon, from his birth until his ordination to the priesthood, giving some very interesting facts and details. After the Communion, new members of the Dehonian Youth made their pledge to live by the values lived and preached by Fr. Dehon, while the older members renewed their act of commitment to these values. Besides the members of the Dehonian Family, the celebration was attended by all the SCJs from the neighbor communities, friends and benefactors. The celebration was culminated with the common super prepared by the formation community. Once again, and for the last time, we write you a letter on the occasion of Fr. Dehon’s birthday, March 14. Truthfully, it’s not to recall a date but to remember a man whose approach to God and whose understanding of the Kingdom of God generated a movement that still is alive today and that draws together many persons into the Dehonian family: women, men, children, young, old, parents, unmarried singles, lay and consecrated people. We wish to cast a glance at Fr. Dehon, a glimpse that always seems to turn up something new for us to consider. 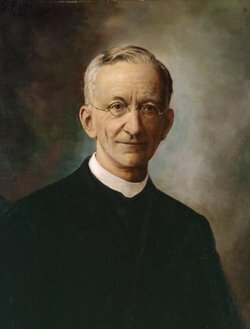 It is not possible for it to be otherwise because in each era timely inspiration is given us for obtaining new insights and aspects, hidden from us until this moment, by asking questions that go beyond what we presently know for the sake of joyously making progress, even in our day, in comprehending the gift God has given us in the person of Fr. Dehon. With this letter we want to share something that seems particularly important to us and on which our reflection is far from finished. This is true as much for us in General Administration as it is for all the members of the Dehonian Family. “Merciful” – this is the first word in the motto for our upcoming general chapter which will take place from May 17 to June 6, 2015: “Merciful in Community with the Poor”. The General Administration did not come up with this motto; the general chapter preparatory commission came up with it, making use of suggestions which came from the Major Superiors at their meeting in November 2013. Initially, as a general administration, we were greatly astonished by this proposal, particularly by the presence of the term “merciful”. The shock was felt by numerous confreres, not just us. In actual fact, the word “merciful” does not have a particularly significant meaning in Dehonian writings. It does not appear in our Constitutions and our journal, Dehoniana, has never treated this topic. Mercy, therefore, seems not to be an essential element in Dehonian spirituality. To all of us it seems obvious that the theme of mercy has become ours with greater force thanks to the magisterial teaching of Pope Francis. In fact, from the first day of his pontificate, both by word and action, Pope Francis has proclaimed that the church must be a “Church of Mercy”. By so doing, he has touched many people and has thus responded to the wish of many, both inside and outside the church. Now, what about us Dehonians? We have set out to ask Fr. Dehon about this topic as if he were present: did mercy represent for him something significant?. If so, what does this word say about God and the Christian vocation in this world? What concretely does he have to say today about the Dehonian vocation in the world? A first surprise was ours when we researched the site www.dehondocs.it, an extremely useful tool for getting to know our founder because it provides digitalized access to all Fr. Dehon’s writings, which we are in process of publishing. Online research reveals that Fr. Dehon speaks frequently about mercy in his writings. Fr. Dehon expands his understanding of mercy in a far more developed way in his spiritual writing as well his periodical writing. Particularly in his meditations, many chapters have mercy in their titles. Fr. Dehon habitually received his inspiration from bible stories. And we note how frequently Fr. Dehon lived, meditated on and prayed with the bible. And this is one specific quality of Fr. Dehon’s experience for which we are grateful today. Through biblical narratives Fr. Dehon transmits his spiritual vision to us. His meditations do not contain theological treatises or dogmatic declarations; instead they express the dynamic of his spiritual experience discovered essentially in encounter and relationship. We find ourselves before a God who passionately seeks encounter with man. In the settings for these stories the following appear: the lost sheep, the coin first lost and then found, the prodigal son, Zacchaeus, Matthew, the Samaritan woman, Peter, Thomas. For Fr. Dehon each one of these figures, in turn, gave witness to the mercy of God and the possibility of new life. God takes the initiative, goes in search of the lost, leaving locales and people well known to him to go out after those who no longer recognize him: “Do you not see how the shepherd goes after the lost sheep? He does not stop at looking, but leaves the others behind, searches wood, swamp, and cliffside. When he finally finds it, he takes it and carries I on his shoulders. In this way, I want to act with you” (RSC 292). According to the spiritual vision of Fr. Dehon, God not only goes after but welcomes without setting conditions, embraces, forgets the past, all of which makes possible a new beginning beyond any wayward person’s personal expectations and limits. In these stories, we should imagine in our minds all this activity, these encounters, and the joy that results if we truly wish to understand the experience of the kind of merciful God that Dehon proposes. “Infinite” (infini) is the word that frequently accompanies the word mercy of God in the writings of Fr. Dehon. Infinite and without limits is this mercy, this inconceivable and gratuitous care and concern for the other that surpasses even justice, since “Jesus has the heart of a healer and friend rather than a heart of a stern judge” (CAM 1/242). This boundless and infinite mercy takes us to the very source of mercy in God that Fr. Dehon frequently describes as an “excess of love” (excès d’amour). For him, this excess of love that appears in mercy has the cross, the passion, and the incarnation as its supreme manifestations. The mercy of love consists in the ineffable act of Christ to empty himself, to become slave while God, as Fr. Dehon says when speaking of the Letter to the Philippians. His vocabulary is somewhat limited theologically in keeping with his times: the words annihilation, humiliation, sacrifice at times speak of a skeptical theological/spiritual way of looking at man rather than of a deeper understanding of the limitless love of God. Nonetheless, what he has to say remains valid when as spiritual master he reminds us of a reality that theology had still to recapture: “There is no other divine attribute of God that Sacred Scripture exalts more greatly than his mercy” (RSC 72). With the passage of time, theology has come some distance: the mercy of God can be understood only if rooted in Trinitarian theology. The Trinitarian God, Father, Son, Holy Spirit, in itself is communication and relationship. Its essence is immeasurable self-giving (oblation) to the other. In consequence, mercy becomes a mirror of the Trinity. From this Trinitarian perspective, mercy is from the very beginning of the world the root and reality toward which all else is ordered. Hence, mercy in creation, incarnation, passion, and resurrection is not just a response by God to the sin of the world. It is above all else the regenerating realization and sharing of his being as self-giving toward other. That mercy was not just a response to the sin of the world but also the essential expression of the Godhead, Fr. Dehon occasionally recognized. In a number of meditations he describes the merciful love of God aimed at men and women, particularly in their sufferings, in their illnesses and states that this excess of love is a regenerative and renewing force, capable of working miracles, healings, and pardon: “Such was the source of his mercy, his miracles, his assistance; a tender compassion which nourished us. Compassion moved him, obligated him to work miracles; he saw those who were ill and his heart was moved with compassion and he healed them. If like the Heart of Jesus we have great compassion for the unfortunate, if we respond promptly according to the merciful desire of the Savior, why could we not be instruments of his Heart in a few graces for healing?” (CAM 1/234). But how precisely can we succeed in participating in this divine dynamis, in this excess of love that generates new life? The initial response that Fr. Dehon provides is surprisingly simple and transcending his era: trust. In this regard he writes: “This meditation [on trust], the last one in this retreat, is very important and sums up all the others. If a person embraces the practice suggested, he gains all. If he/she does not, the fruit of the retreat will be nullified” (CAM1 256). In this way, Fr. Dehon introduces the last mediation on mercy. Trust in a merciful love: this is the one single condition for entrance into this dynamis. The second response issuing from Fr. Dehon is this one: “We need to correspond to graces and act on our initiative…practicing mercy toward our neighbor” (RSC 318). Fr. Dehon and the tradition of the spirituality of the Heart of Christ called it “redamatio,” a loving in exchange, even a loving on behalf of those who refuse to love. Mercy asks one to live in an economy/practice of giving. Surely, there is far more that we must study and apprehend with regard to mercy. We need to deepen and enlarge the matter of the value of mercy with respect to the Dehonian charism. At the center of the motto for the next general chapter in May/June 2015, we find community not mercy. It is in the community that we discover our vocation; in it our vocation expresses itself for the first time; from our community we are sent toward the various forms of apostolate. The centrality of the community in the motto is accompanied by a preferential quality which is that of mercy and by a preferential place of service which is that of the poor. Is mercy a quality that renders our communities distinctive? The question refers to Dehonian communities as well as to the numerous groups that are inspired by the Dehonian charism. The question refers, first of all, to the reality and witness of our living together insofar as we are Dehonians? Is there really an excess of love that is realized in our giving ourselves to each other? Does our service, our oblation (self-giving), our availability, our reconciliation begin only after leaving our religious house or apartment? If we take seriously what we understand about mercy according to our tradition, our very living together becomes a proclamation of a merciful love which makes a new quality of life possible beyond barriers of culture, nationality, character, sin. And then, after an experience of the mercy of God, we are necessarily led toward the poor. Mercy is not sugary or unseasoned and naive. Someone who experiences the merciful love of God cannot not be an instrument of this love, particularly in areas where life is threatened, repressed, limited, or wounded. The fact that 100 years ago, Fr. Dehon involved himself – despite the cautions from some brethren – on behalf of a social dimension to our congregation was not the result of a political calculus or sense of moral obligation. It was a response. This response was to that love that was revealed on the cross as the source of life and victory over every death. With profound joy and most respectfully we see how men and women within the Dehonian Family continually draw their inspiration and are moved by mercy, ready to reach out to the edges of society, as Pope Francis recommends. In an era like our own, burdened with unimaginable violence, who could doubt that the world needs mercy, or, using Dehonian language, the Reign of the Heart of Jesus? At the beginning of this letter we simply wrote that we wished to share with you what is slowly coming to the fore: a new aspect in the spiritual experience that characterized Fr. Dehon’s words and actions; a matter of enrichment for our Dehonian vocation while we gratefully keep in mind Fr. Dehon’s birthday. This is the last letter that this general administration, elected in 2009 to lead the congregation, will address to you. In these past six years, we were called to be custodians of the heritage that Fr. Dehon left us. It has been a privilege for us during this period to open up the treasure of Fr. Dehon’s writings to a world-wide public by online publication. The 22nd chapter asked us to pay attention to the centrality of the person of Christ in the life of the congregation. Christ is the gift we have received, the likeness of God that emptied himself (Phil 2:8), and who shared our life and revealed his immense capacity for love through his opened side. We ask you to pray for the congregation, particularly during the general chapter itself. Chapters are special times in the congregation. It is a sign of what we know happens at our better moments, moments during which we believe that the Spirit of Jesus is more active within us. It is a time to look at our past as well as to look at the future, toward a time during which our words will pave the road that we shall have to walk over the next six years. Rally your communities and pray for us from May 17 to June 6. March 14 is also the day of prayer for vocations. Let us pray for those people who will shortly be part of the Dehonian Family. We ask the Lord that their lives be enriched by faith in the love God has for them. We ask that the Dehonian charism will always be a call for others to follow. Let us believe that what Fr. Dehon contemplated in the pierced side and at the center of the Bible, the gift of mercy, be what gives life not only to our “souls” but also to the societies in which we live. To the entire Dehonian Family we extend a joyous remembrance of Fr. Dehon’s birthday. The lemma “mercy” appears in dehondocs 808 times. From a frequency aspect it appears far less than “love” (3980x), “sin” (1951x); yet it is more frequent than the words “immolation” (405x) and “oblation” (185x). Accessed Feb. 03, 2015. Les Couronnes d’Amour (CAM), La Retraite du Sacré-Coeur (RSC), L’année avec le Sacré-Coeur (ASC). “The Heart of Jesus is All Love and Mercy” (CAM 1). “Mercy of the Heart of Jesus for Sinners” (CAM 1). “The Mercy of Our Lord Invites us to Return to His Love” (RSC). “On the Mercy of God” (RSC). “Conversion of St. Peter through the Profound Mercy of the Heart of Jesus” (RSC). 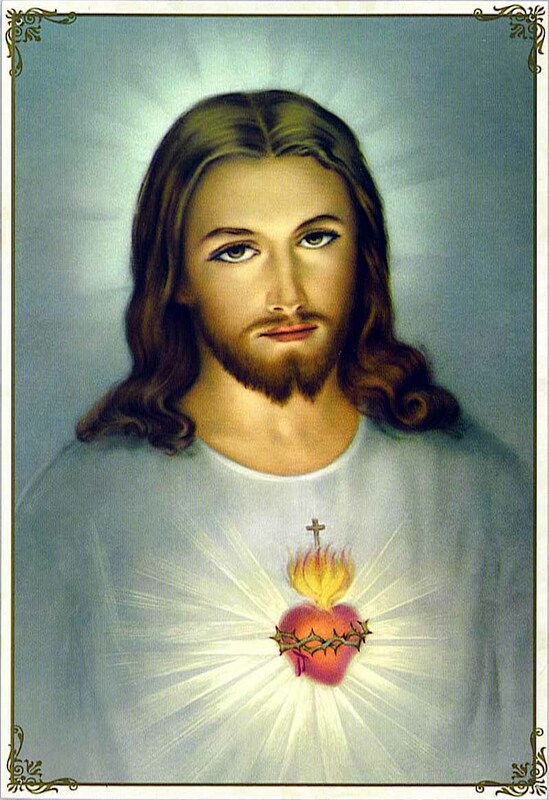 “Heart of Jesus, Patient and Very Merciful” (MSC). Walter Kasper, Mercy-The Essence of the Gospel and the Key to Christian Life. NY: Paulist Press. 2014. Especially V, 2: Mercy as Mirror of the Trinity. Walter Kasper, Mercy, pp 150ff.